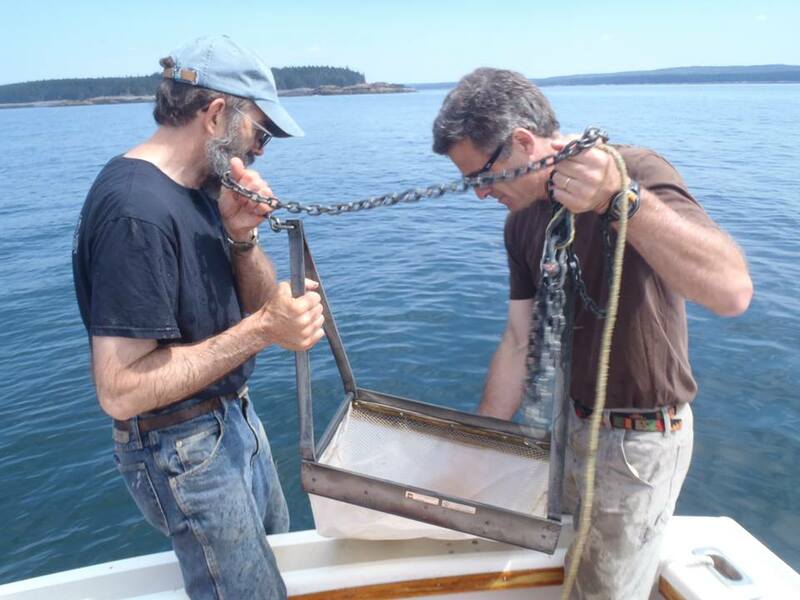 During the summer of 2013, a group from Mount Desert Island Biological Laboratory and Southern Maine Community College began a benthic survey of numerous sites in Frenchman Bay. The survey was undertaken to compare current benthic species diversity with historical records collected during the first half of the 20th century. Seven sites in Frenchman Bay were surveyed using a remotely operated vehicle fitted with a color video camera. Numerous videos were taken at each site. In addition, benthic grab samples were collected at each site and benthic species were identified and counted. The seven sites represent locations sampled by the Proctor Survey of 1926-1930. Several sites represent ledges or areas where large numbers of groundfish were historically caught by fisherman from Frenchman Bay. The project was funded by a grant from the Davis Conservation Foundation to Charles Wray. Shannon White, MDIBL Marine Specialist, and Elizabeth Thompson and Brian Tarbox from SMCC all worked collaboratively on the survey project. Data and video will be made available once it is analyzed.